UPDATE: Summer Slide Animated Video Available for Social Media! UPDATE: The Canadian version of the summer slide video is now available! New on Matrix is an animated video featuring “Madison,” who represents children who experience the summer slide. 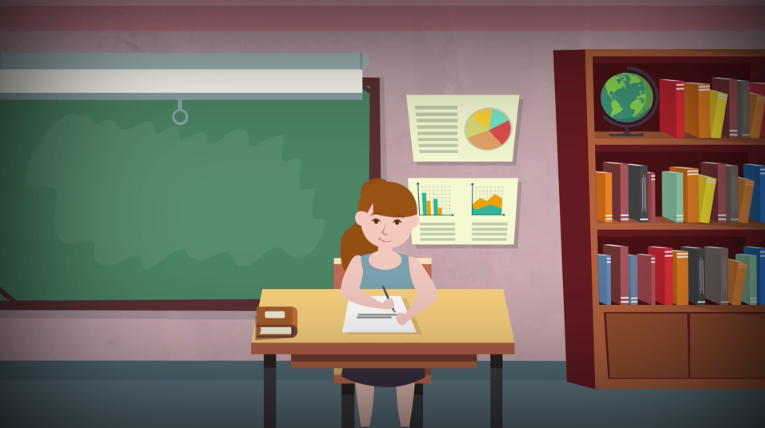 The video explains what Mathnasium does and how we prevent summer learning loss, helping children when they return to school in the fall. It runs one minute, 50 seconds, with both a U.S. version and Canadian version (Canadian version available tomorrow). This video can be used along with the Transformation Social Media video for your social media advertising campaigns. We’re continuing to create summer slide digital assets to complement the gallery of available marketing materials as we head into high summer marketing season. Should you have any questions, please contact us at support@mathnasium.com. 5 users comments for " UPDATE: Summer Slide Animated Video Available for Social Media! " Overall, I love it – Well done. One quibble I have is the pie chart – First, I probably would have chosen a survey question that showed over 90% agreement. Using the 88% undersells our effectiveness, since I am sure a large chunk of the remaining 12% were attending for enrichment purposes. So in most cases it would have been impossible to improve their grades! Also, the actual visual of the circle represents less than 88%! I would estimate it at around 83%. Again, an underselling of our effectiveness. Like I said, overall it’s great. Just a shame to have these things reducing the impact of the message. Really should fix the visual, at least. Hello, Greg. Thank you for your feedback! The 88% data point is also used in the Parent Pack. The Marketing Department is working on publishing new data based on the recently released Parent Survey and will be making changes to Marketing assets to incorporate the new figures. They will consider revising this video as part of that work. Thanks! When would the Canadian version be available on the Matrix? Hello, Ralu! The Canadian version of the video has been delayed due to a vendor error. We apologize for the inconvenience. It should be available tomorrow.